She would have been sixteen today. I have her birthday marked on our calendar. We mark the occasion every year. Not with a birthday cake though. 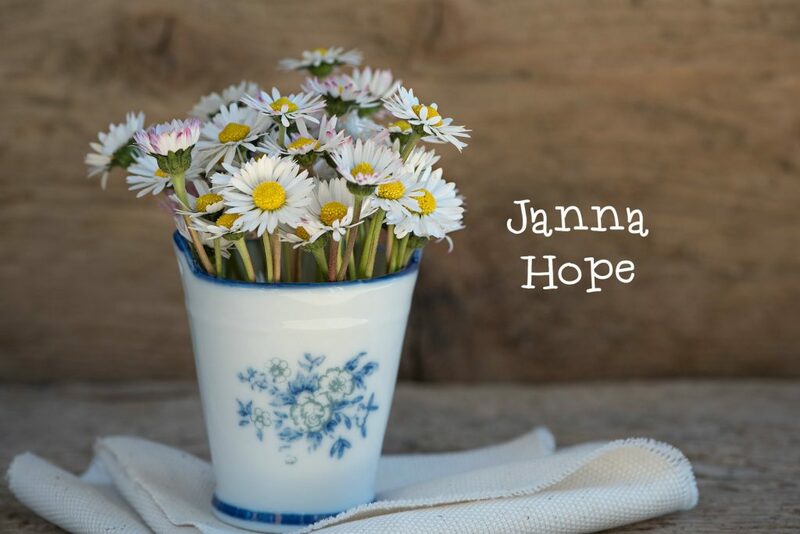 Janna Hope was only 3 weeks old when the abnormalities of her little heart were too much for her little body to bear. In the years before Car died, Husband would buy Car a wreath of white daisies. Car liked to imagine sweet Janna with a wreath of daisies atop her head frolicking in the fields of heaven. White daisies are Janna’s flowers. I always wanted a daughter. 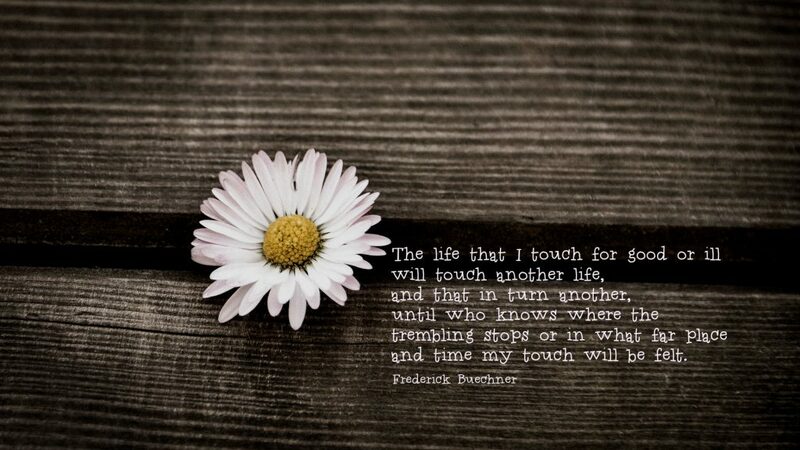 I had 4 sons of my own…2 raised to adulthood, and 2 held strong in my heart’s memory, having died before they could be born. While Husband’s sons have become mine as bonus children, and the women married in have now become my daughters. I don’t quite know if it makes sense to say Janna is my “bonus daughter” as I never met her. Her picture hanging in our living room. Janna matters to me because she matters to Husband. Janna does feel like family. Janna’s heart condition became very apparent immediately after birth–though until she was born they had no idea there would be problems. There was hope she would be able to have life saving surgery out of province…but her little heart couldn’t wait. She had many tubes going in and out of her and all touch further increased stress on her heart. The first time her parents held her was when the medical staff disconnected the tubes so she could die in the arms of the ones who loved her. They welcomed the opportunity to embrace her, though dreaded the reason that they now held her. They would have done anything to had an opportunity to raise sweet Janna. Her broken heart broke her parent’s hearts. Car and Husband were a special couple. They were loved by so many. When we were cleaning out our basement before Christmas, Husband opened the box of memories of Janna. He showed me the 3 paged letter the nurse who delivered Janna wrote to them after Janna died. I saw the pictures and letters created after Janna’s death by her brother’s classmates. The teachers supported Janna’s brothers by having all the children understand what had happened and invited them to support their classmate. Janna’s older brother had a birthday 5 days after she was born. Husband called the neighbours to ask them to cancel the birthday party on their behalf–it was impossible to plan and host the party while spending all day, every day with their new little daughter, so sick in the NICU. The neighbours refused to cancel. I love that the neighbours and friends banded together and pulled of a birthday party for a 5 year old, complete with balloons and Boston Cream pie. A few weeks ago, Canadian Down Syndrome Society called and asked to speak to Carolyn Klassen. I’ll say, “Carolyn speaking” before I realize that they actually aren’t calling to talk to me. They mean Car, I know. Trust me, trying to clarify the error on the phone with someone from a call centre is not only fruitless, it ends up feeling a little cruel to person on the other end of the line! “Actually, you aren’t speaking to the Carolyn Klassen you asked for. She died several years ago…but yes, I am also Carolyn Klassen, and you can talk to me instead.” (It sounds so far-fetched, a little like, “The dog ate my homework,”–even though it’s true!) The responses when I’ve tried explaining it involve people getting off the line as quick as possible, or a clear disbelief–they hear a lot of misleading lines in a day, I’m guessing! I filled out the monthly donor card, yesterday. Car donated annually…and they’ve asked me to change it to monthly. I’m keeping up her donation. I support the Canadian Down Syndrome Society because Janna, by extension, is my family. Janna had Down’s Syndrome. Her heart condition was one of the complications that these children sometimes have. I think that’s why I spend an extra few seconds looking at a person with Down’s Syndrome in the mall when I see them now. I look, searching, trying to imagine what she might look like, how she would be at now, at 16. Would she walk or talk or move like the young woman I see at church? What would Janna be doing? What would she love doing? I try to imagine how a smile would warm her face, and how her eyes would look as she came to embrace me. Husband speaks of her so fondly and longingly. His hands still clench tightly, and his eyes drop when he talks about how he couldn’t protect his girls from death. His voice gets tight when he remembers how both females in his immediate family died, and he couldn’t stop it. Her story is part of Husband’s story, and Husband’s and my stories now intersect, and so Janna has now become a part of mine. Her life, and death, and diagnoses shape Husband…her death changed how he dealt with Car’s death, would change how we got to know each other. The loss of Janna plunged Husband into a dark place for a long time…to lose a daughter was very hard. Husband eventually emerged from the darkness, still sad, but somehow the stronger for the wisdom that little soul imparted to him during her short time on earth. That impacted our conversations when we were getting to know each other. It changed how he listened to me. It influenced his openness and how he shared himself with me. He is a kinder and gentler person, I think, because of Janna. Today, we remember Janna, on what would have been her “Sweet Sixteen Birthday”. No singing, no cake, no presents. But with gratitude and white daisies.